On Friday I paid a short visit to the church of Christ the King, Gordon Square, in London – and if you ever find yourselves at loose ends in Bloomsbury, I encourage you to do the same as it is a masterpiece of English gothic revival. This church was built by the Catholic Apostolic Church, which was a Victorian religious group (with very little to do with the Church of England, or with Roman Catholicism) that emphasised the second coming of Jesus – in fact members of this church, genuinely expected Christ to come in glory at any moment and they forecasted it to happen in their lifetime. Rumours even have it that in the vestry of this church the best set of vestments was always laid out on the vestment press, ready for the Lord to wear them at his coming. We may find this custom amusing, or even outlandish, but perhaps it should prompt us to reflect on how we relate to Christian belief in the second coming of Christ as sovereign Lord and judge of all creation. Faith in the second coming is often misrepresented by both Christians and non-believers alike, and it may even seem out of place when we think that scientists can now calculate the life expectancy of stars. Yet, the Creed we say together affirms that Jesus ‘will come again to judge both the living and the dead’. The theme of Jesus’ return is embedded in today’s parable of the talents – indeed, it is the dominant feature of Matthew 24 and 25. And here we read that, at his coming, the Lord will reward those who to have faithfully invested their talents, whilst he will reject from his presence those whom failed his trust. Then, our faith in the Lord’s return should lead us to see ourselves as the characters of the parable, as the servants whom the Master entrusts with a lavish array of talents from his own fullness. In Jesus’ time a talent was an enormous sum of money; it corresponded to the wage for over eight years of work – if not more. But in the parable, talents represent more than just money; they are a symbol of the extraordinary number of flairs and abilities God freely bestows on each one of us. And regardless of whether we see ourselves in the servant with five talents, or in the servant entrusted with one, all we need to recognise is that God has, in fact, given us much… No-one among us here – in fact, I go as far as saying no human being – is deprived of at least a special quality, a something, they can invest to the glory of God – we just need to be able to recognise what has been given to us, and put it to its best possible use. But what could our talents be? Do you have free time? Offer it to the Church, or spend it in prayer for others. Do you have a lively faith, or delight in learning about God? Encourage those whose faith is weak. Are you an artist? Say something about God with your art. Do you have administrative skills? There are plenty of churches who need your help. Do you have money or wealth? Give what you can. Do you have musical skills? Join the choir. Do you have a vocation to ministry? Devote your life to it. Are you outgoing and cheerful? Befriend the lovely. These are just examples, but they give us an idea that almost everything can be used to glory of God, and that we are charged with this task. So, what impact should the parable of the talents and our belief in the second coming have on the way we live? And what should we do so that the Lord may say to us, “Well done, good and faithful servant”? The answer is rather simple; whilst people outside these walls would use everything in their power to advance their position in society or to gain fame and wealth, we, as Christian, should use everything we have received from God so as to further his glory. Only then we can hope to enter the master’s joy, the joy of heaven, and be admitted into the Lord’s presence. 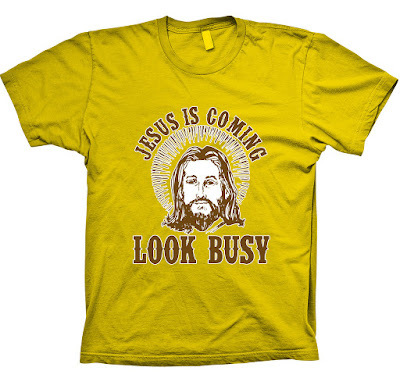 Once saw a fridge magnet at a friend’s vicarage that read, “Jesus is coming. 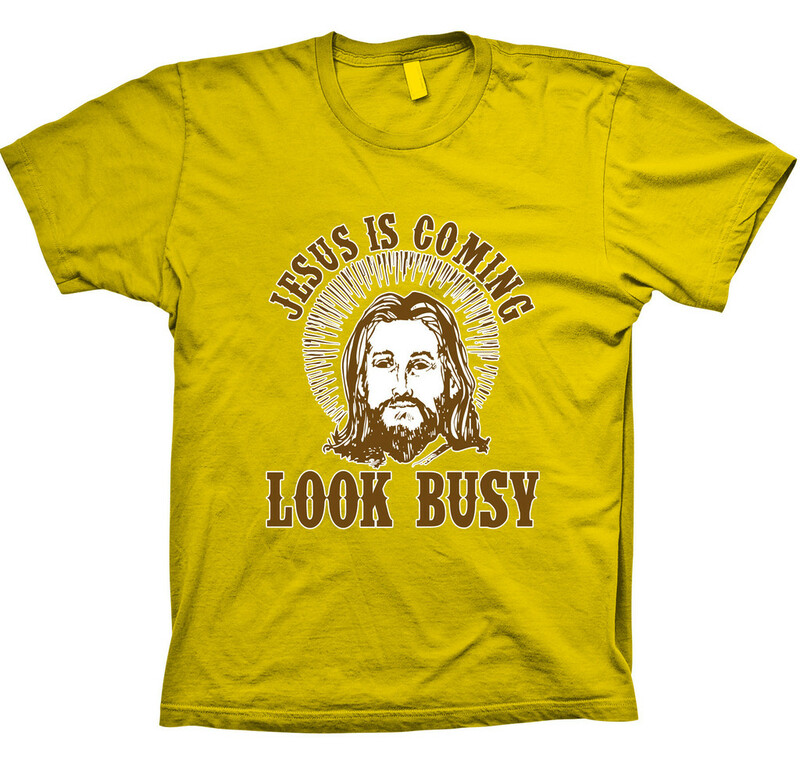 Look busy!” And I guess there is a little bit of truth in this. Our faith teaches us that Jesus will indeed come again. But, even though Christians have often tried to forecast his appearing, today’s parable remind us that the point of our faith is neither to determine an Estimated Time of Arrival for Jesus nor to pretend to be busy; rather faith should make us faithful and diligent in working for him.